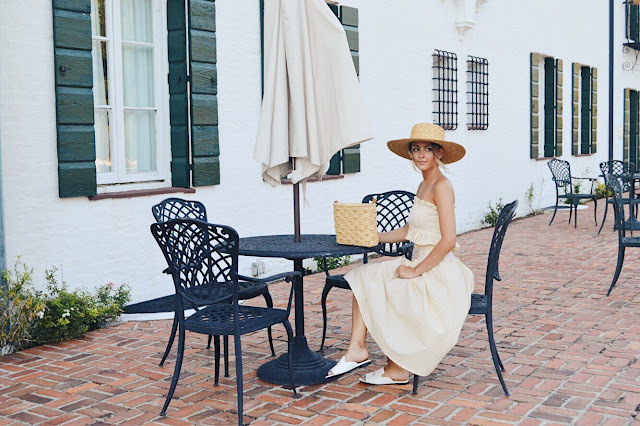 I had never been much of a yellow gal, but as soon as I saw this matching pale yellow set from Romwe, I just knew my summer wardrobe would not be complete without it. 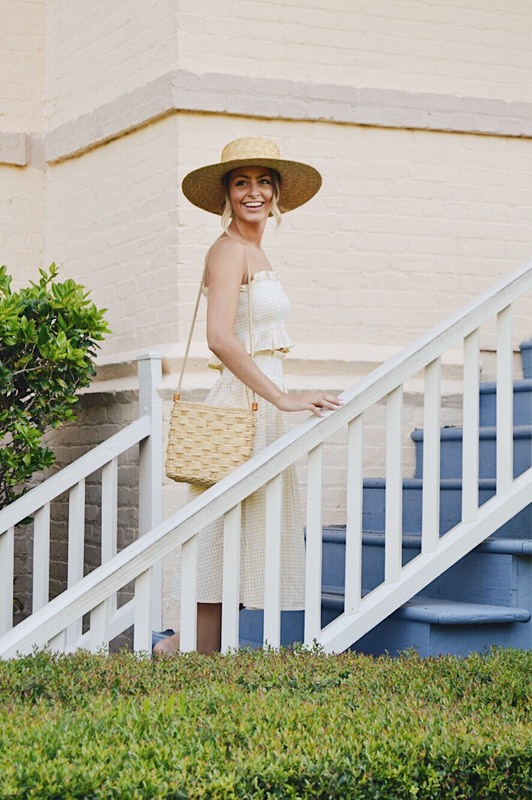 This top and skirt set is everything a summer outfit should be- colorful, airy and effortless. 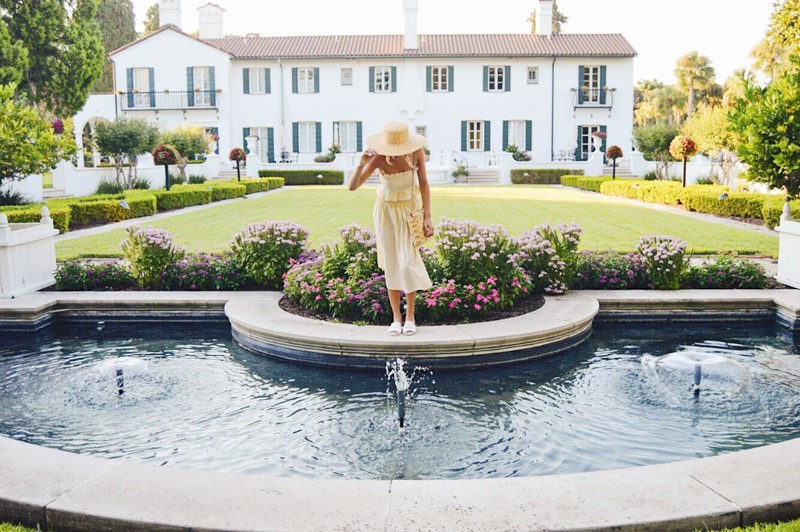 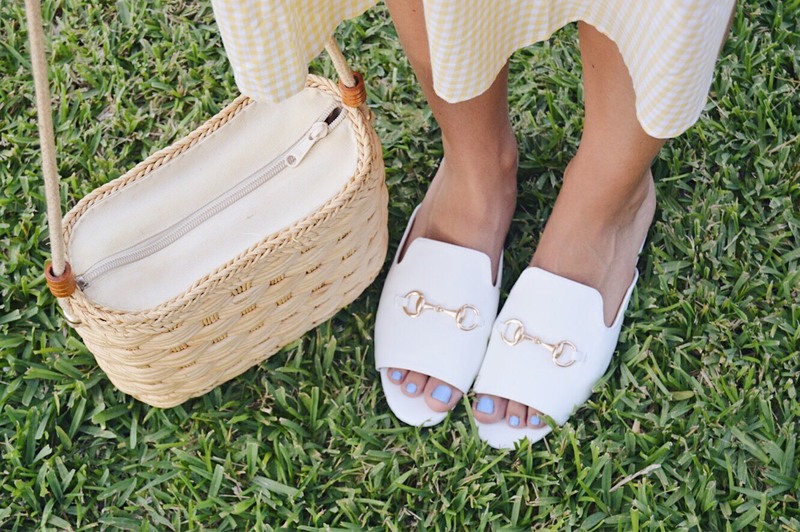 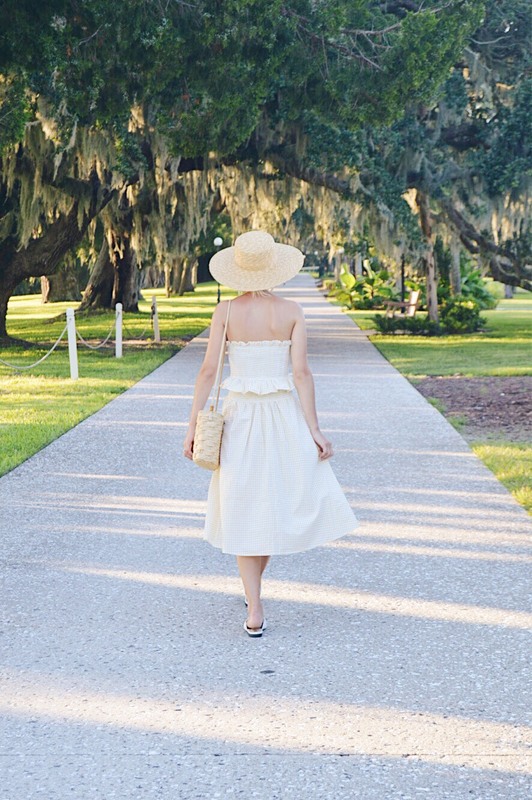 I paired it with with these gorgeous white slide sandals and my newly thrifted basket bag for a hot summer afternoon spent strolling around the Jekyll Island Club Hotel. 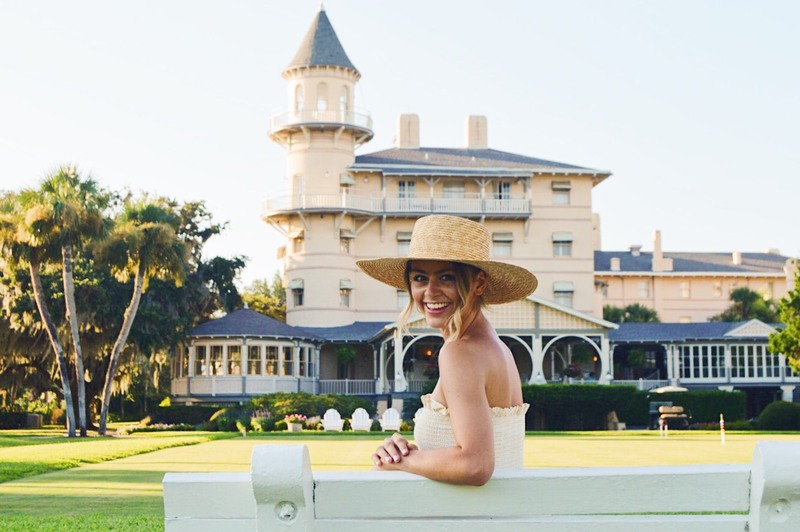 If you ever find yourself on Jekyll Island you must visit this hotel, it is my absolute favorite place on the island. 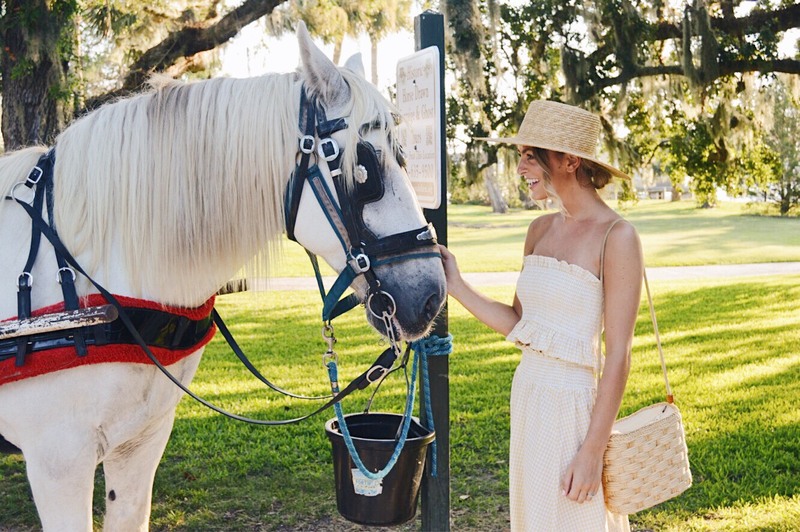 From Spanish moss covered trees, to horse drawn carriages, this place is full of Southern charm.